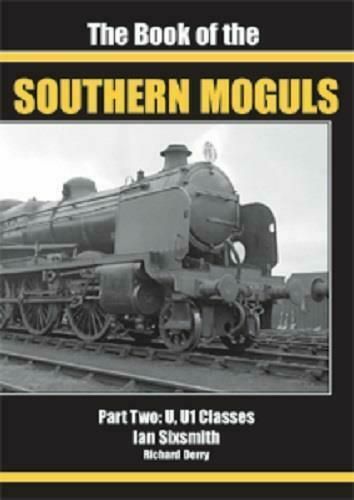 As elaborated in the preceding volume in this series The Book of the Southern Moguls 1: N, N1 CLASSES Maunsell, from his appointment in 1913 to the Grouping in 1923 was responsible for the introduction of three new types; the N 2-6-0 with 5ft 6in wheels, the K 2-6-4T with 6ft wheels and the N1 2-6-0, similar to the N but with three cylinders. We now need to divert into tank engine territory. The SECR ordered one each of the new standard designs, a 2-6-0 which became the N for mixed traffic and a 2-6-4T for passenger work. It was the latter that appeared first, a couple of months before the N mogul (No.810). This was K class No.790, in June 1917. Being a tank version of the N (boilers, cylinders and motion were identical) much of the description of the latter applies in the case of the K, in its shared 'Derby' and Swindon' features for instance.